The most expensive of the 9 is a 5 bedroom, 5 bath home with almost 4,200 square feet of living space offered at $5M. The least expensive is a 3 bedroom, 2 bath home with a modest 1,751 square feet in the City Beautiful aka Coral Gables asking $675K. This particular home is the furthest inland of all, with the other 9 being in close proximity to water. Patricia Delinois, TV personality, philanthropist and past president of our Miami Realtors board, is listed as the owner of this Coral Gables home. Apparently offering bitcoin as an extra term considered can help the sale of a home, although I wouldn’t go as far as saying it creates urgency. The 9 homes above have been on the market a range of a respectable 24 days to just over 2 years for the one on the market the longest. And if you look at the condos, one of those has been on the market an astounding five years. As always, if you need help with the sale or purchase of a home, either one of the bitcoin ones above, or any other, feel free to reach out to me, your friendly neighborhood real estate broker. Peace. 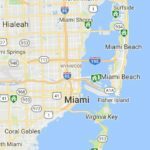 This entry was posted on Thursday, February 8th, 2018 at 8:34 am	and is filed under Pinecrest. You can follow any responses to this entry through the RSS 2.0 feed. Both comments and pings are currently closed.